Buy A Bakfiets.nl Cargobike (if you live in Ireland)? 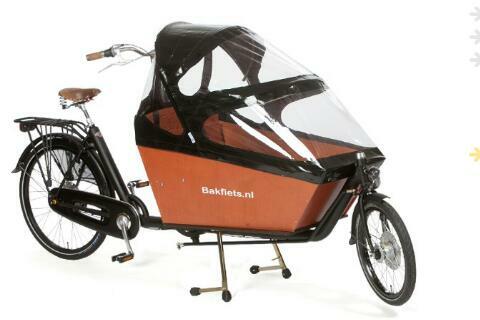 In the space of 2 days 2 people have asked how they can get a Bakfiets.nl Cargobike just like ours. I blame the unseasonal sunny weather. 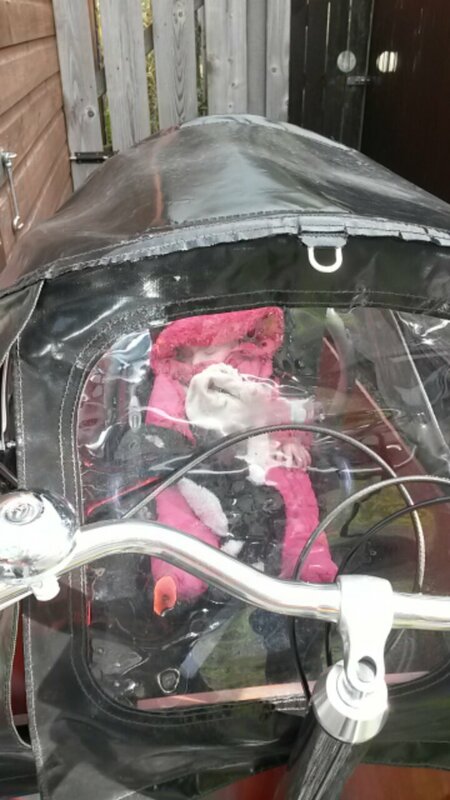 Obviously, you visit the Bakfiets.nl website. A little bit of clicking brings you to the Irish dealer, Bear Bicycles at Greenaer in Dublin. Olivier Vander Elst runs the shop and is extremely helpful. You pick your preferred accesories, pay your money and a Cargobike is yours. Whoa there. I want to try one out. You can. At Greenaer you can try one for the day, pootle around Dublin, visit the refurbished National Gallery, or the Zoo and whizz around Phoenix Park. Or do as we did. Go to Amsterdam, see the refurbished Rijksmuseum (and cycle through it), whizz around the Vondelpark. We didn’t visit the Zoo, instead going out of town by train and bus to the Efteling. We hired a Cargobike from Workcycles, here. You can also try Het Zwarte Fietsenplan, also on Lijnbaansgracht. We stayed with Diederik and Ian in their wonderful B&B at Noorderstraat 29. That’s good. I’ve tried, I’ve bought. How do I get the bike from Dublin to Belfast? We hired a motorbike trailer in Mallusk. Don’t even think of trying to get it home on the train. The guard will have a complete canary if you turn up on the platform with a Cargobike. I grew up in Venlo, the Netherlands. The self-styled capital of Noord-Limburg and home of the best football team on earth. Recently Mark Wagenbuur in his excellent blog commented on Dutch roundabouts, especially in relation to provision for cyclists. 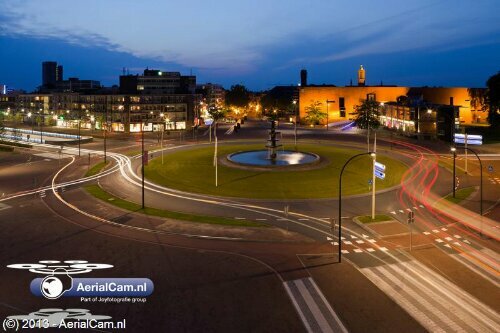 I commented that Venlo has a roundabout that had priority for cyclists from at least the mid-1970s. It turns out the roundabout (or more precisely, circle) has an interesting history. The roundabout was constructed in the post-war years when urban planners and architects were given a blank canvas to build a modern city. 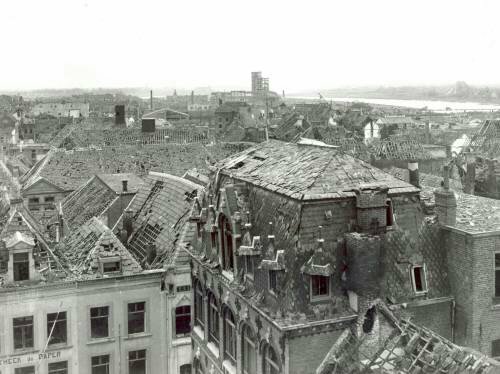 Venlo had suffered horrendously from Allied bombing raids during the Second World War. 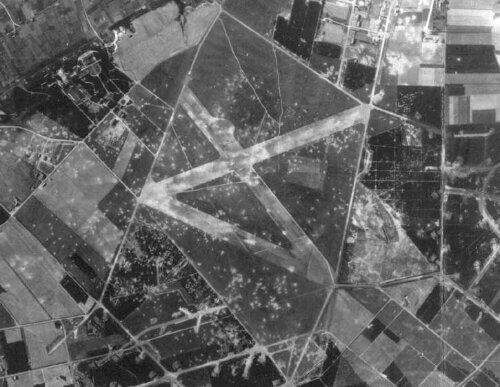 Venlo was and still is the main crossing point across the river Maas, a railway junction, and as an added bonus to the Allied aircrews the Germans constructed an airfield on the heath to the east of the city. The bombing raids left most of the city centre in ruins. After the war the rubble was piled into what is now the Julianapark, and the railway line to Straelen and onwards to Geldern was dismantled. This left a great wedge to the east of the city centre available for grand projects. The station was moved westward and the square in front became the regional bus station. The station was completed in 1958. This was the station in the early 1960s. Somewhere along the line the projects slipped into mediocre provincial apartment blocks and wide unwelcoming boulevards: the Koninginnesingel and the Burgemeester van Rijnsingel. Elsewhere in the city centre the medieval street pattern was maintained with narrow pedestrianised shopping precincts, passages and alleys. 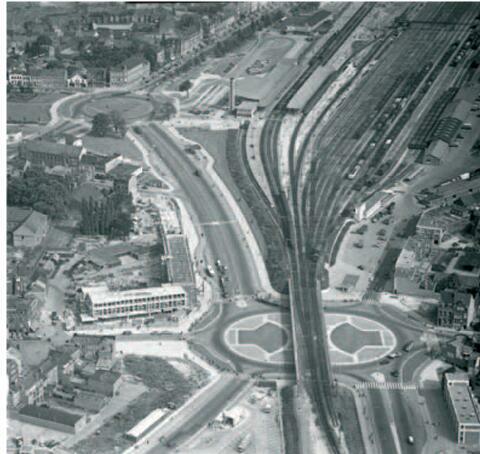 The Koninginneplein roundabout was conceived by chief designer Jos Klijnen on a massive scale. The “traffic circuit” was part of the wider plan, the Brugplan, to reconstruct the city centre, replace the temporary bridges and provide adequate capacity and give pride of place to the motor car. Even in the Netherlands it was the age of the car. People left their bikes in the shed and took to the streets in their DAF cars. The Koninginneplein had three concentric rings of traffic, a separate cycle lane and pedestrian crossings. What marked out this circle was the priority rules for traffic on the circle. Until 1992 roundabouts in the Netherlands had the following priority rules: traffic on the roundabout gives way to traffic approaching on the side roads. This circle gave priority to all traffic, including pedestrians and cyclists, on the roundabout. This view shows the large triangular yield signs on the Keulsepoort approach (middle right) and the diamond signifying a priority route on the circle in the foreground. In primary school we were taught this roundabout had unique “German” priority rules. 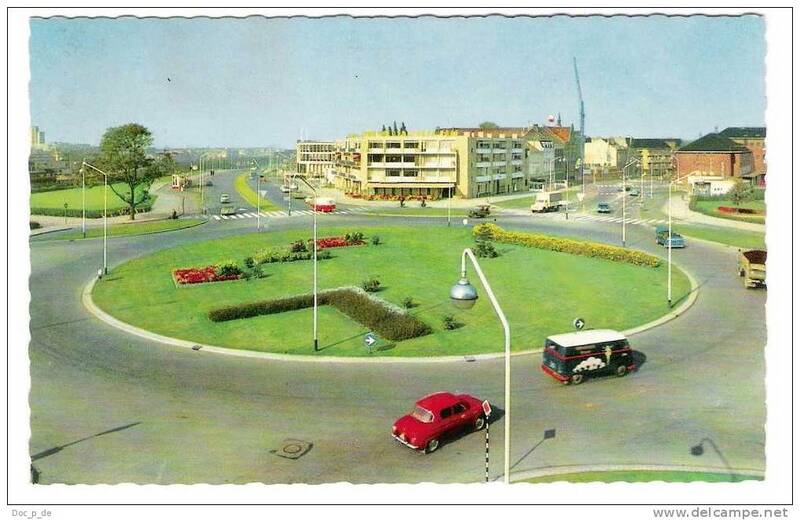 Because, it was said, of the large number of German cars using the roundabout. 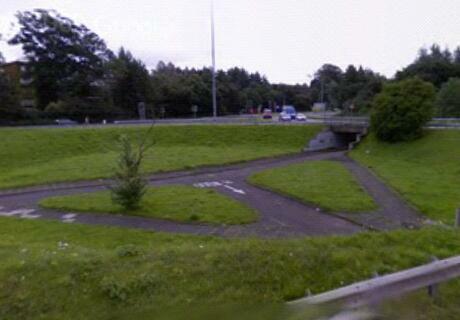 To comply with Dutch law it wasn’t, strictly speaking, a roundabout, rather a circular three-lane highway. At the time of construction the planners could not have conceived their circle would meet the demands of modern traffic with little change, other than the addition of lane markings and a monumental fountain by Wim Berkhemer constructed in 1964. The above picture, dated ca. 2009, shows typical congestion. 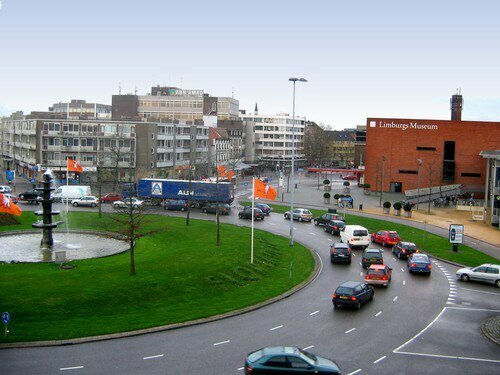 Traffic converges on the roundabout from the Kaldenkerkerweg (the road to Germany, linking to the A61 until the A74 was built, bypassing the city to the south), the Burgemeester van Rijnsingel (the N271 to the north, linking to the A67, and to Geldern), the Keulsepoort (entry to the city centre), the Koninginnesingel (the N271 to the south, also linking to the western half of the city and the A73) and the Stationsplein (access to the bus and train station). In the early 1980s buses were given their own lanes along the Koninginnesingel to allow them to bypass the chronic traffic congestion. Since the1980s several road-building projects were carried out to take traffic out of the city centre. To the east, the Klagenfurtlaan was built to take traffic from the German A61 to the Dutch A67 Antwerp to Duisburg motorway. The second Maas crossing followed in the 1990s, a part of the new A73 Nijmegen-Roermond motorway. Finally, in the late 2000s the aforementioned A74, linking the A61 and Dutch A73, was completed. The Klagenfurtlaan is now essentially redundant. In addition to all the cars 1000s of cyclists and pedestrians also use the circle. Clearly, with congestion an every-day, all-day occurence something had to be done. Another consideration was the separation between the station and the city centre. So how would British planners tackle the problem? Firstly, they’d banish pedestrians and cyclists into subterranean underpasses. Then, they’d probably put an elevated 2×2 dual carriageway over the top, and regulate the traffic on the circle with lights. Finally, they would grudgingly add provision for cyclists and pedestrians at ground level because the underpasses are used by the homeless, drug users, grafitti artists and skate boarding youth. The standard Dutch design for a roundabout with one circle of traffic and a separate circle for cyclists does not mix well with 50,000 vehicles a day. However, the replacement circle is exactly that: a single lane for motorised traffic, with separation for cyclists and pedestrians. Despite building roads to bypass the city and limiting access to the Kaldenkerkerweg by banning HGV, congestion was still a feature of the Koninginneplein and its principal approach roads, the Koninginnesingel and Burgemeester van Rijnsingel. Rather than putting a wide dual carriageway over the top, a 2 lane road was planned to go underneath. The natural incline (we are not in Holland, after all) in the Koninginnesingel also makes a tunnel a more easily engineered option. Putting a tunnel underneath to take the bulk of the traffic off the roundabout has the added bonus of making the Koninginneplein a more personal, living space. Added to closing off the Keulsepoort and redeveloping the Stationsplein, the space is much improved. Pedestrians now can stroll across from the station to the Limburgs Museum, or down the Keulsepoort into town for shopping or a leisurely drink in one of the many bars along the Parade. Cyclists of any age can safely navigate the roundabout, knowing that the never-ending flood of traffic is beneath their wheels. Work was started in 2009, but due to two consecutive severe winters not finished until the spring of 2011. Despite the delay it was still ready before the start of the Floriade. 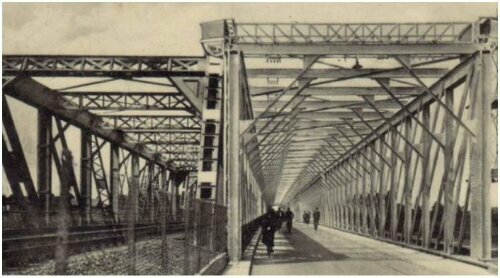 Another grand project, the Maasboulevard, was delivered in the same year, finally filling the last gaps left by Allied bombs. 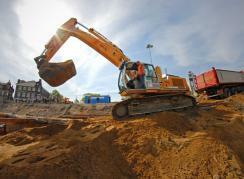 Contractors constructed the tunnel in a trench, which was then covered over. Somewhere along the way the central sculpture got damaged, but it was restored. 47 years of traffic grime was also removed from its surface. And isn’t the end result pretty?